Warner Bros. is still working on the Suicide Squad 2 script with the sequel is getting a fresh pair of writers: David Bar Katz and Todd Stashwick. A new report by THR has co-writing the script for Suicide Squad 2 alongside director Gavin O’Connor (The Accountant). Katz wrote the 1997 John Leguizamo comedy The Pest but has a number of scripts in development, including The Man in the Rockefeller Suit. Stashwick, meanwhile, is an actor best known for roles on FOX’s Gotham and the Syfy series 12 Monkeys. Previous drafts of Suicide Squad 2 were written by Legend of Tarzan’s Adam Cozad. While Warner Bros. had been hoping to get Suicide Squad 2 in front of cameras in 2018, it appears as though Margot Robbie’s Birds of Prey movie might film first. Will Smith and Margot Robbie will certainly be back with Jared Leto. Joel Kinnaman, Jay Hernandez, and Jai Courtney were recently spotted working out together, prompting expectations of their return to the franchise as Rick Flag, El Diablo, and Captain Boomerang, respectively. 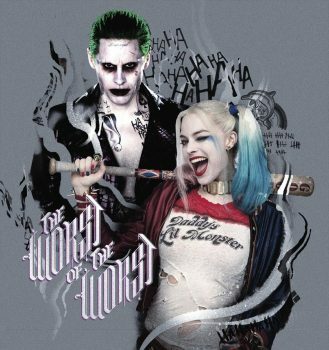 While panned by critics, the first Suicide Squad film earned more than $746 million worldwide during its theatrical run. Michael De Luca will produce Suicide Squad 2, confirming the Warner Bros. change in strategy. Ever since DC’s last release, Justice League failed to make its mark at the box office like Avengers and other comic book blockbusters, the studios has moved quickly to steer in a new direction.